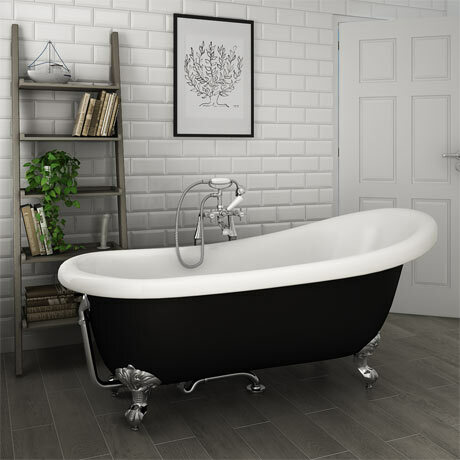 A stunning 1710mm large slipper bath with with traditional ball and claw feet, enjoy the feeling of luxury with this classical free-standing bath. This elegant slipper roll top bath is the perfect centrepiece for a traditional bathroom. The bath is mounted upon traditional ball and claw feet to complete a breathtaking appearance. Made with double skinned acrylic with a superb white and black surface finish. Slipper bath has no tap holes and a continuous rolled rim. "Lovely bath, good protection on."